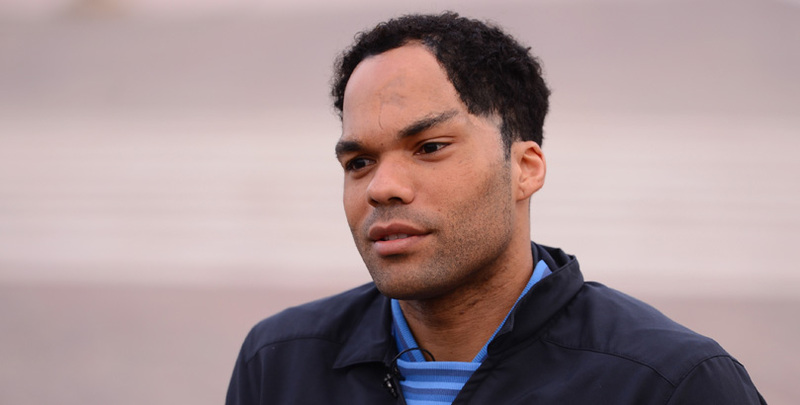 Joleon Lescott earned 26 England caps as a defender and served Wolves, Everton and Manchester City with great distinction. We ask him about how his former clubs are faring this season. What have you thought to Wolves’ start to the Premier League season? I wasn’t expecting Wolves to perform so well so quickly in the Premier League. I’ve been very impressed with their performances, particularly in the big games against Manchester City and Manchester United. They didn’t back down from their philosophy and I think they were unlucky to earn only one point from those two games. They were far superior to Burnley and that performance is what they’ll be aiming to replicate against teams outside of the top six all season. What would be a successful season for Wolves? The ambition for any promoted club should be to survive in their first season in the Premier League. However, Wolves look very well equipped to do far better than simply survive. I think the club will already be aiming to finish in the top half of the table and that would be a successful season. There’s a lot of ambition at Wolves and they’ll be looking to use this season as a platform to build towards qualifying for Europe. There has already been talk of competing with Manchester City, but a lot has to happen at the club before it comes close to breaking into the top six or earning a Champions League spot. Wolves have already been called the Premier League’s best-ever promoted team by some pundits. What do you think to this? I do think Wolves are one of the best teams to ever be promoted to the Premier League, but some pundits are getting a little carried away by saying they are the best so early into the season. There has probably been promoted teams that have picked up more points at this stage of the season, but they’re definitely among the best considering how comfortable they look at this level. The players have established themselves both individually and collectively very quickly. It’s exciting times for Wolves. Wolves and Fulham both spent big this summer. Is it a tactic you expect to pay off? I think promoted clubs now recognise how much Premier League status is worth. Wolves and Fulham were right to invest the TV revenue in new transfers and it makes sense to utilise the promotion money knowing they have the safety net of parachute payments. Cardiff chose not to invest big in the summer transfer window and it isn’t a surprise that they’re looking like the club that will struggle the most to survive in the Premier League. What’s great for Wolves is that they haven’t just bought Premier League experience, they’ve bought top tier European experience and that will prove to be an unbelievable asset over the course of the season. Do you think Wolves could replicate what Burnley achieved last season? I think Wolves could possibly achieve what Burnley were able to do last year, but I think it’s still very early in the season so I wouldn’t want fans to get carried away. Wolves are enjoying themselves at the moment, but the Premier League will become more demanding as the fixtures come thick and fast. There’s no easy games and key players will suffer from fatigue or pick up injuries, then it’s down to Nuno to deal with that and utilise the squad. What do you think of Wolves naming an unchanged side so far in the Premier League? Wolves have had a very settled start to the season and it’s a credit to the players that Nuno has been able name an unchanged starting line-up in the Premier League so far. If you perform, then you expect to stay in the team, and all of the players have delivered on the pitch, so deserve their place. How much have you been impressed with Nuno this season? I’ve been really impressed with Nuno as Wolves manager. 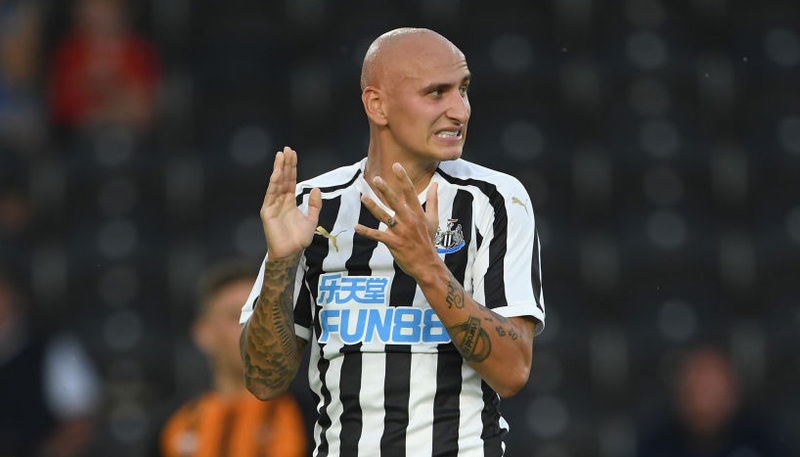 He has achieved everything the club would have hoped to have achieved by earning a spot in the Premier League and starting as well as they have done. I remember there was a lot of scepticism when he was appointed, pointing to his lack of experience in England, but they’re eating humble pie right now. Nuno has been a credit to Wolves and he’s a firm fans’ favourite. It’s easy when you’re winning, but I know the fans have loved every minute of watching Wolves play under Nuno’s management. He has created a culture and style of play which is working, and there’s no sign of that stopping now Wolves are in the Premier League. Do you think bigger clubs will be tempted to make a move on Nuno? 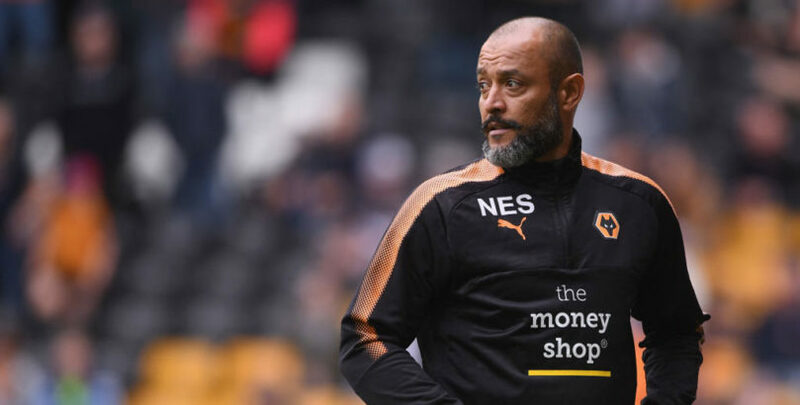 I think bigger clubs will be keeping a close eye on Nuno and what he is doing at Wolves. The club gave him the opportunity and he has grasped it with both hands, getting fantastic results and looking good while doing it. There would be a lot more expectation if Nuno were to join a bigger club and he is settled where he is, focussing on delivering survival. I don’t see why Nuno would leave Wolves in the near future. Who have you been most impressed by at Wolves? I’m a big fan of Conor Coady and I’ve been most impressed by him this season, ahead of all the big-name signings. I expect Coady to be in the England squad in the very near future, especially now Southgate has adopted three central defenders into his preferred formation. Coady is a leader and he makes the right decisions under pressure, so he is the perfect choice as captain. Coady has bought into the whole ethos at Wolves, having been at the club for a number of years and has a good connection with the fans, who are happy to see him wear the armband. What will be most important if Wolves are to achieve their ambitions this season? Wolves will need firepower all over the pitch if they’re to finish in the top half of the Premier League. They look very solid defensively, but it is scoring goals that dictates who wins games and where a club finishes come the end of the season. Wolves can’t just rely on Raul Jimenez to find the back of the net, so the likes of Jota will need to adapt to the Premier League quickly and chip in with goals. Wolves have made a series of high-profile signings, but still kept a core group who got them promoted. How important is this? I think it’s very important that Wolves continued with the core group of players that helped the club achieve promotion, rather than throw money at players for all over the pitch. I think that’s a mistake a few promoted clubs have made over the years and they paid the price for disillusioning some members of the squad. The likes of Doherty, Bennett and Coady are too good for the Championship and they’re proving to be more than capable in the Premier League too. They will only continue to get better and more confident as the season progresses. Ryan Bennett is currently sitting in your No 5 shirt. What do you think of his progression through the lower leagues? Ryan Bennett is a phenomenal success story, having come through the lower divisions. It’s a credit to Grimsby Town for recognising that talent after he was let go by Ipswich and it’s an example of what is possible for those playing in League One and League Two that there is a pathway to the Premier League. Bennett has been performing well wherever he has been and he was always a Premier League player, even when he was in the Championship at Wolves. Hopefully, he will continue to be a rock for the club this season up against some of the best strikers in the world. Rui Patricio has already earned a lot of plaudits this season. How highly do you rate him? 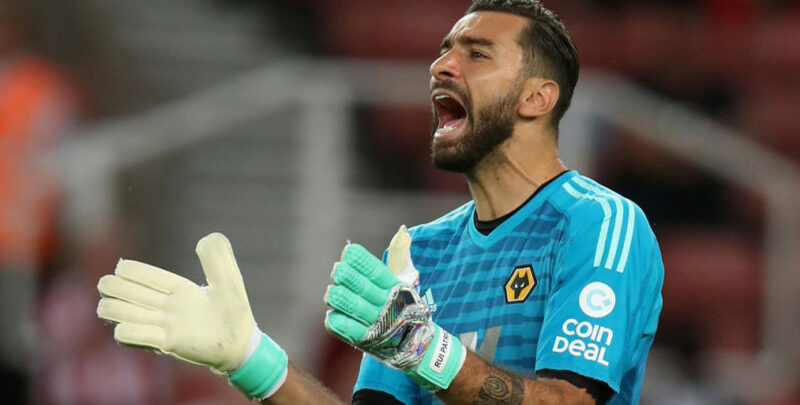 Rui Patricio was always destined to be a fantastic signing for Wolves and it is such a coup for the club that they were able to get hold of him. He is a world class goalkeeper, having won the European Championships and competed in World Cups for Portugal, so he was a low risk and high reward signing. Patricio had to quickly adapt to a new country and the pressures that come with the Premier League, but he has done that and has already made some incredible saves this season. He might need to continue making those sort of saves if Wolves are to finish in the top half this year. Ruben Neves is already being linked with a big money move. Is there any danger he might move on? Ruben Neves is already being hunted by big clubs all over Europe and has been linked with some astronomical fees. Wolves have flatly rejected any notion that he might leave the club and that’s the right move, because he has been a huge star since he arrived. Hopefully he can stay healthy, because he will be crucial to Wolves achieving their ambitions this season. Adama Traore came in as the club’s record signing. Did you think this was a good move? I’m very excited to see Adama Traore. I can honestly say he is the fastest player I have ever seen. He is lightening with and without the ball, with ridiculous acceleration. He has been getting a run out towards the end of games at the moment, but it’s only a matter of time until he is terrorising defenders from the start. He is a young player and he has unbelievable potential, having gained experience at a few clubs already. Traore will create chances and score goals in the Premier League, there’s no doubt about that. Who was your signing of the summer? I think Raul Jimenez could prove to be Wolves’ most important signing this summer. You need a striker who can cope with the pressure and score some important goals to survive in the Premier League. He has an excellent work rate and I think we’ve already seen he will be a success this season. It was also a massive coup to get Moutinho at the club, who has been heavily linked with the Premier League’s top clubs for years. I remember when I thought he might join me at Everton, so that’s how long he has been performing at the top level for. The Portuguese connection with Jorge Mendes clearly helped get that over the line. Wolves now have a very strong Portuguese contingent. What do you think to the impact of Jorge Mendes? There has been a lot of scrutiny on Wolves due to the relationship they have with Jorge Mendes and the number of his players the club has signed, but the situation is far from unique. It happens a lot in football and far more often than people tend to realise. Clubs tend to have close relationships with certain agents and this arrangement has clearly worked for both parties so far. I don’t think either Wolves or Mendes can have any complaints. What have you thought to Everton’s start to the Premier League season? Everton have had an inconsistent start to the Premier League season and they probably haven’t performed as well as they might have expected. However, I look at the signings that the club made in the summer and there’s no doubt that they’re heading in the right direction. I think they had a very good transfer window, choosing the right personnel in positions that needed filling. They also cut loose a few players who weren’t going to get a look in this season and might have become a negative impact on the dressing room. What would be a good season for Everton this season? I think Everton would consider seventh place as a very successful season. The club has spent big money for two consecutive summers now, so there will be greater pressure and expectation. That’s to be expected when a club repeatedly breaks its record transfer fees. Fans will recognise that previous managers have got better results while spending less money. They’ll remember when I was there that we would regularly finish in the top six or seven and that was without the net spend that they’ve had the last couple of years. That’s the benchmark, so they’ll be looking to become ‘the best of the rest’ in that seventh place, below the top six that will be very difficult to break into. Everton headhunted Marco Silva for over a year. Is he good enough to justify the efforts made? 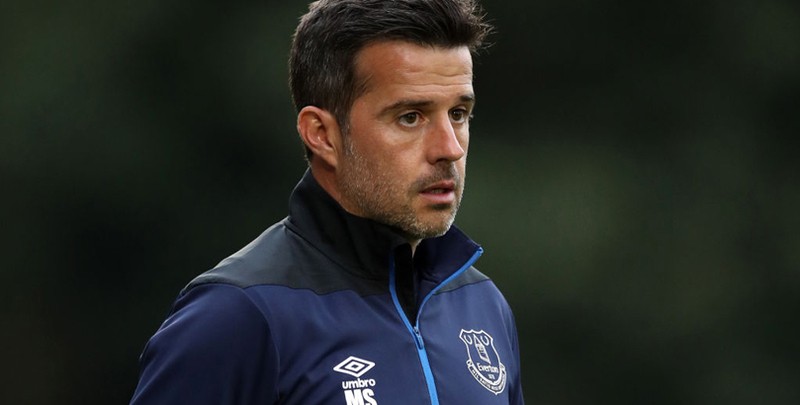 Everton committed a lot of time and resources to secure Marco Silva as their new manager and only time will tell if that was the right decision. I guess there is a bit of a question mark over him following his time at Hull and how things ended at Watford, but he still has a big reputation. Having fought so hard to get Marco Silva and making it so obvious that they wanted him, I’m sure he will be given a lot of time and a lot of support to change the squad and a build a team in his image. I think we saw that this summer and the onus is on him now to gel those players together and get them playing as he wants. As always, it will be results that dictate if he is a success or not. Do you think Everton fans could turn on Silva if performances and results don’t improve? I don’t think the Everton fans will be thinking about criticising Marco Silva for Everton’s hit and miss start to the season. Everton fans are very knowledgeable and they will be content as long as they see 100% effort and commitment for the shirt from the players. They understand that there are games that Everton might get outplayed, but they won’t accept being outfought. The squad needs time to gel and they still have a few important players who are working their way into the season. Who have you been most impressed with at Everton? I have been really impressed with Richarlison so far for Everton this season. He has quickly taken the mantle and embraced the pressure of being the talisman that comes with being the marquee signing. He hasn’t been affected by carrying the weight of expectation on his shoulders and he has delivered. Richarlison has been the main threat so far this season, scoring goals and fighting for every ball. He has the competitive edge that Everton fans will love to see. I was surprised that Everton spent so much money on Richarlison, I thought they had overspent on him, but it is a crazy market and it is hard to understand what value is anymore. He’s such a young player who is now starting to make waves in the Brazil squad, so I think Everton would easily recoup the money if they were to sell him in the future. I think he will prove to be a very good investment because he has lots of potential to improve and they could be looking at a nice profit if he continues performing as he has started. Do you think Tom Davies was a good choice as stand in captain? I think it’s great to see Tom Davies wear the captain’s armband at Everton. It’s so important to the club that the captain has a connection with the fans and Davies really resonates with those in the crowds as a local lad. There are obviously players with more experience and players with more quality in that squad, but the fans will love Marco Silva for giving the armband to Tom Davies rather than a big money import like Sigurdsson. It will mean a lot to him and I can’t see a better choice while Jagielka isn’t on the pitch. Pickford earned a lot of plaudits at the World Cup but has had a shaky start this season. What do you think to his performances? Jordan Pickford is a top-quality goalkeeper and it was fantastic to see Everton’s No 1 represent England so well at the World Cup. However, I think he is struggling to adapt to the pressure and the spotlight that comes with playing every week while being England’s first choice. He has made some mistakes this season that could have easily been avoided, but there’s no doubting his quality and whether he will come through this spell. He reminds me of Joe Hart in how he approaches games and in the sense he is a very confident man who is very mentally strong. He will save Everton a lot of points over the course of the season. Tosun has received a fair amount of criticism this season. Do you think he is good enough for the Premier League? I think it’s fair to say the Premier League has proved difficult for Tosun and you could say he’s yet to show he is good enough at this level. He had a hot streak at Besiktas, but it was a relatively short hot streak where he scored a lot of goals for the first time in his career and that’s what earned him a move to Everton. Do Everton need to strengthen their options up front? I think striker is a position that Everton badly needs to strengthen in January if they are to finish seventh and fulfil their longer-term ambitions further up the Premier League. Everton need to score more goals and unfortunately Tosun isn’t looking like the answer. It was always going to be a challenge to fill the massive void following the sale of Lukaku, but the club has missed the mark with a couple of signings now and I think it was a mistake not to prioritise Premier League experience. I know that Everton were very close to signing Giroud and it would have been a massive coup to get a player of that quality. I would love to see Everton make a move for Troy Deeney. He is proven in the Premier League and you know exactly what you’re going to get from him every week. Deeney would score goals for Everton and make it very difficult for defenders to ever have a moment’s peace. With the likes of Holgate, Calvert-Lewin and Davies, the club has a strong youth contingent. Who do you rate the most? Everton have a lot of talent coming through with the likes of Holgate, Kenny, Davies and Calvert-Lewin. They have all been getting opportunities for a couple of years now and they’re all gradually getting better. I would expect this season to be the year that one or two lay down a marker. It’s a very exciting time for the club and I think they will all have big parts to play over the course of the season. Everton had a very busy summer transfer window. Who was been the signing of the summer? I think Bernard will prove to be Everton’s best piece of business from the summer transfer window. He is a top talent and I’ve seen him perform consistently well at the top level for years. I was surprised the club were able to pull off that signing and I think some clubs in the Champions League might regret not swooping in on him while he was available. I’m really excited to see how he adapts to the Premier League and what he’s capable of in England. Everton did a lot of business with Barcelona, signing Digne, Mina and Gomes. Who do you think will prove the best signing? It was great to see Everton prize so many players away from Barcelona. I think Gomes will be a very astute signing because he played more regularly than Digne and Mina last season. I would expect to see a big improvement to Everton’s style of play and their ability to control games once Gomes returns to full fitness and gets into the flow of things in the Premier League. I see Digne and Mina as players for the future rather than making an immediate impact because they have a task on their hands getting into the team ahead of Jagielka and Baines. 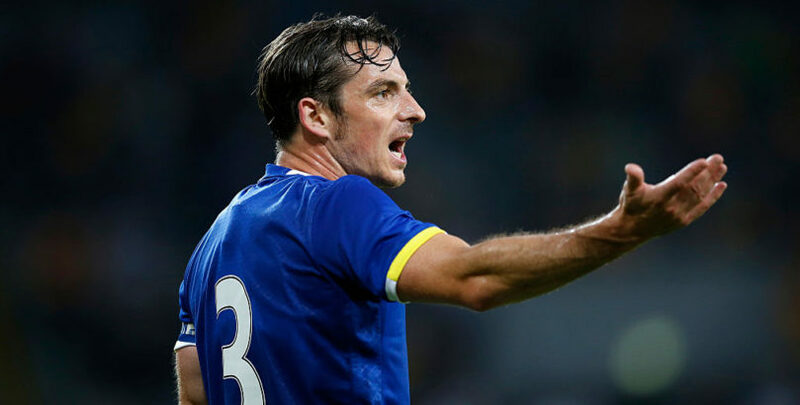 I still think Jagielka is Everton’s best central defender and Baines has been one of the most consistent players in the Premier League. I think Everton were right to strengthen in those areas, but we can’t forget the quality that those two guys possess and have shown at the club for years. Manchester City look set to have more competition for the Premier League this year, with Liverpool and Chelsea still unbeaten. Do you think Manchester City will win the Premier League? The Premier League is looking like it will be a lot more competitive this year, but Manchester City are still the team to beat. They were incredible last season and they definitely have the fear factor, though they haven’t looked quite as impressive so far. I’ve been very impressed with Liverpool and I think they’ll be able to maintain the pressure throughout the season. The Manchester City and Liverpool games will be the most anticipated matches in England this season. Chelsea have also started brightly and they have the advantage of not being in the Champions League. I don’t see Chelsea caring too much about the Europa League, so their top players will be fresh and able to focus purely on the Premier League. Manchester City were tipped as favourites to win the Champions League this year. What do you expect from the club this season? Manchester City are rightly tipped to be one of the favourites to win the Champions League. There is a pressure that comes with being favourites, but I don’t think that was a factor in their defeat to Lyon because that’s three consecutive defeats for them now in the competition. It’s important that Kevin De Bruyne comes back into the side if Manchester City are to fulfil their potential in the Champions League. I think Juventus will win the Champions League this year because of the squad that they have been able to build, especially having signed Ronaldo in the summer. Juventus have shown great form in the competition in recent years, reaching the final twice, and I think Ronaldo could be the difference-maker that gets them over the line. Do you think Guardiola is capable of building a legacy at Manchester City, similar to Sir Alex Ferguson at Manchester United? I think Pep Guardiola has started building a legacy at Manchester City that could one day be compared with what Sir Alex Ferguson achieved at Manchester United. 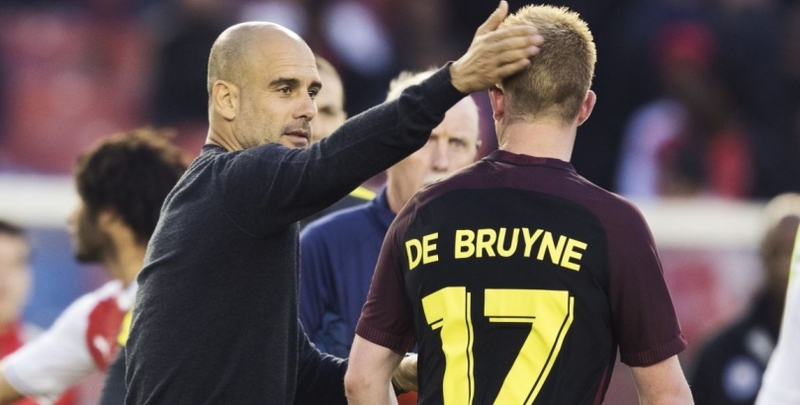 Guardiola has already stamped his legacy on the Premier League with the records he has broken and the style of play he has brought to England. However, his overall legacy will depend on longevity rather than the number of trophies he has won. There was a lot of pressure on Guardiola when he arrived and he failed to live up to that expectation in his first season, but he quickly recognised where improvements needed to be made and Manchester City totally dominated last year like no Manchester United team ever has before. I think Guardiola is creating a club in Manchester City that will be favourites for the Premier League for the next 10 years. Alexis Sanchez is struggling for form under Mourinho at Manchester United. Do you think he might regret not choosing Manchester City? Alexis Sanchez has been struggling for form, but I don’t think he will regret moving to Manchester United over Manchester City. Manchester United and Mourinho showed beyond doubt how much they wanted Sanchez at the club, so the form is down to him and he has no excuses. I think Sanchez is possibly the one player that Mourinho hasn’t hindered. I think Mourinho should be getting a lot more out of the likes of Pogba and he shouldn’t be criticising his players in public quite so much. Do you think there’s a reason why the likes of Jorginho, Fred and Sanchez chose against moving to Manchester City? Manchester City’s squad is so strong that I think it is making it more difficult to sign the players they want. I think Fred chose to go to Manchester United because it was an opportunity for him to be a permanent fixture in their midfield. Mourinho told him he would be the missing piece to the club winning the Premier League and that’s a very attractive proposal. There’s a feeling that he would have been second fiddle to Fernandinho at Manchester City, so I’m sure game time was pivotal in his decision. Jorginho is a different story. I think Jorginho’s head was turned by Chelsea purely because Sarri, a manager who he knows and loves, went to the club. He has settled straight into that team, being the heartbeat of that central midfield and controlling the tempo in their games. I think that was the key for Jorginho. You played alongside Kompany, David Silva and Aguero. Did you think then that they would stay at Manchester City so long? It was great to play alongside Kompany, David Silva and Sergio Aguero. It’s fantastic for Manchester City that those three players are still at the club all these years later. There was a time when I know Real Madrid were sniffing around Aguero and David Silva, but it’s a credit to Manchester City and the club they have become that they’ve all stayed for 10 years. Those three players have had a massive impact on Manchester City’s history and have cemented themselves as club legends.